For those who spent any time growing up in the 80’s, Magic Cookie Bars were a staple of any self-respecting home kitchen. 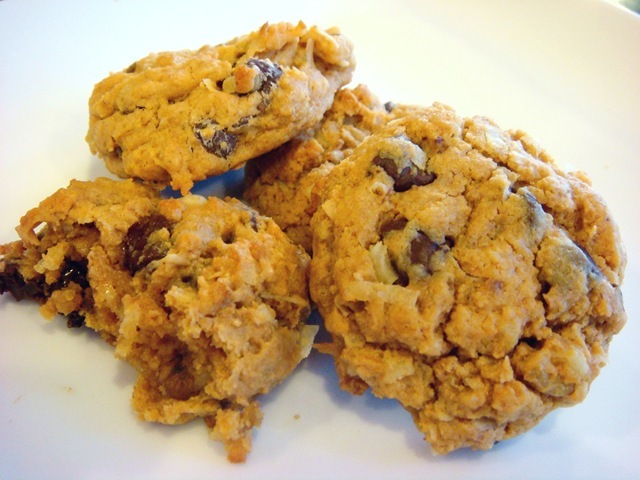 They were one of my favorite cookies as a child: layers of graham cracker crumbs, coconut, nuts and chocolate chips, all magically bound together by the king of all ingredients: sweetened condensed milk. 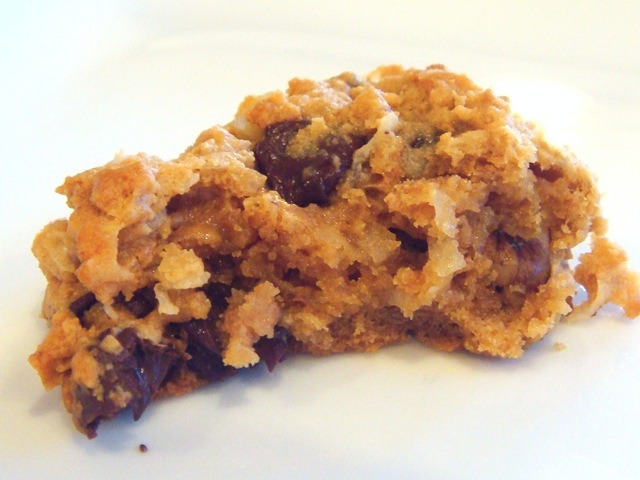 Later, as a young mom, I found (in a magazine ad) the recipe for the drop-cookie version of those same bars. After making them that first time, I knew I was in heaven! All of the magic of the bars, in a portable, stackable, school-lunch packable, even freezable little package. 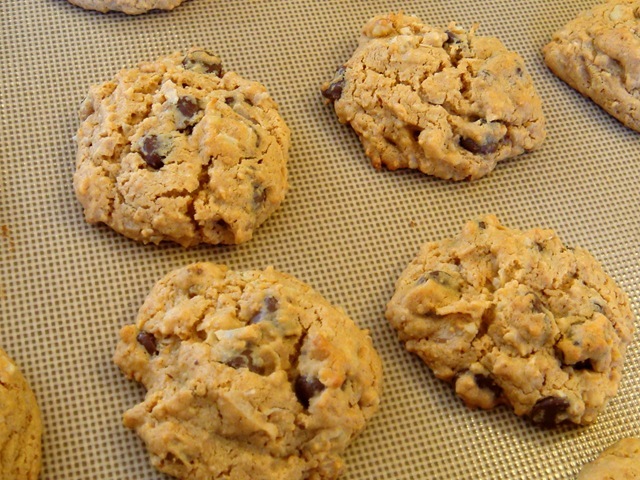 The graham cracker crumbs and sweet milk make these a wonderfully soft cookie. In fact, they get softer with time. I think they taste best that first day, fresh out of the oven, when they still have a slight crispiness on the outside. Once they sit in a covered container, the entire cookie becomes soft. Still fabulous, just soft. Much thanks to Borden and Eagle Brand sweetened condensed milk for two great recipes. Eating these cookies always makes me nostalgic for those days of making Magic with my Mom! 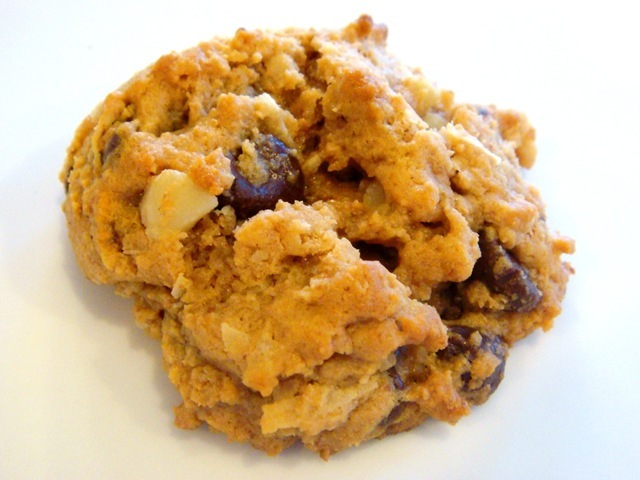 Don’t you just love a cookie with nooks & crannies? Mix graham cracker crumbs, flour and baking powder. Set aside. Beat together sweetened condensed milk and butter. Stir in dry ingredients. Stir in coconut, chocolate chips and nuts. Bake on ungreased cookie sheets for 8-10 minutes. Cool cookies for about 1 minute on pan before removing to rack to cool.